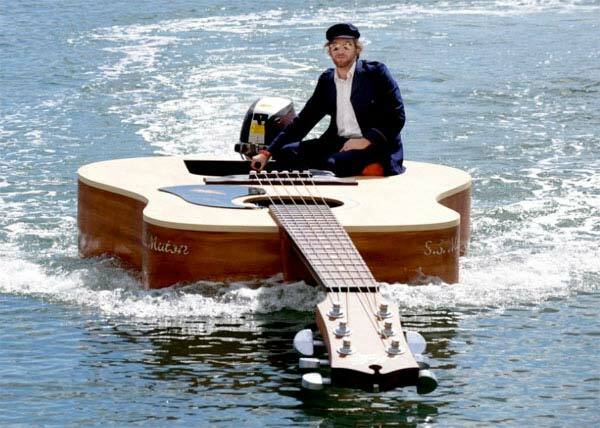 I Wonder, What Kind Of A Boat A Musician Would Have? Here we see Josh Pyke puttering around Sydney Harbor. It looks like the boat has a mast step and bowsprit. Dog, you've got to sail that thing. You're an Aussie for Christ's sake!